The holidays have come and gone in the usual madcap whirlwind we experience every season. As we embark on a new year, it’s possible that some of us are feeling a little shaky after this latest season of spending or, in some cases, overspending. Granted, it can be tricky to balance generosity of spirit with a smart plan for spending… and saving. But, as with all new beginnings, a new year provides us with the perfect opportunity to get back on track, perhaps even better than ever before. Starting off 2018 on the right financial footing is key to a more solid future, not just this year, but for years to come. 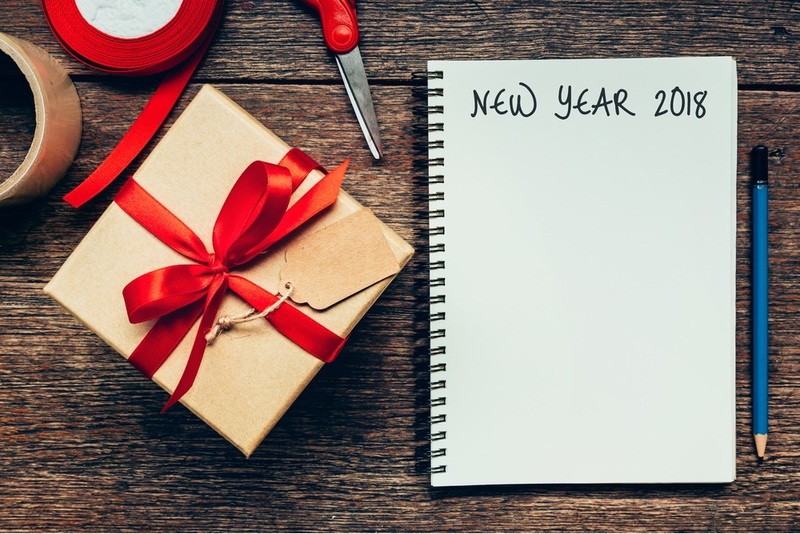 Although there are plenty of publications, checklists, and guides for how best to financially wrap one year and open the next, the following are five of the most important reminders I give my clients. An old saying, sure, but certainly one that is relevant to the financial sector and new calendar year. Wise financial planning involves a keen understanding of the market itself. What I’ve observed and like to remind my clients of, with respect to the New Year, is that the market is down more at the start of a new calendar year than at any other point throughout the rest of that same year. However, this downturn is expected and consistent; in other words, not a reason to panic or shift strategy. Recognize the downturn for its cyclical nature and simply ride it out. Whether it was good old-fashioned holiday spending run amok, or a costly unforeseen circumstance that couldn’t be covered by your emergency fund, if you have credit card debit, you’ll want to develop a plan to dig out from under it sooner than later. Rather than feel overwhelmed by the mountain before you, take a breath and take the time necessary to develop a sound strategy. In this case, my best advice is that you target high-interest credit cards first. Tackling those credit cards will help you save money in the long run by off-setting what you would pay the longer you remain at locked under sky high APRs. Whenever possible, and depending on your employer’s contribution plan, contribute the maximum allowable amount to your 401(K), especially if your employer will match that amount. Not sure whether your company offers a matching 401(K) contribution plan or what it takes to quality for said plan? The solution is a quick call to your company’s Human Resources Division where you should be able to determine the required amount of your contribution. Do your best to meet every dollar and cent required to qualify in order to get the most bang for your buck. This number is different for everyone, so it’s a great idea to contact your financial planner in order to understand how much the IRS requires you to take from your retirement account on a yearly basis. Only those who have reached the age of 70.5 years need worry about their Required Minimum Distribution. If you’re in that camp, you don’t want to forget to do this very important step. Why? Failure to take your Required Minimum Distribution equals a 50% tax on the amount you should have withdrawn. There is no reason to suffer undue stress because of end-of-year financial obligations. You needn’t navigate these waters alone. A great strategy, particularly for those either nearing 70 years of age, or anyone who hasn’t professionally reviewed their finances in order to plan for the future, is to connect with a trusted financial services advisor. No doubt you have your area of professional expertise and would rather not attempt managing another. So, do your research and ring up a reinforcement who recognizes the peaks and valleys of the financial landscape. Treat yourself to the type of financial knowledge that optimizes your new year and every one to follow.